Japan Domestic Delivery Fee: from seller to our Japan warehouse. International Shipping Fee: from our Japan warehouse to your specified delivery address. This fee is charged from the seller. It is applied to all domestic delivery across Japan, based on the seller’s choice of local delivery operator. This fee is displayed on each item page and described within the sellers page.”運送無料” means Free Japan Domestic Shipping Fee. This fee is part of the 2nd Payment after checkout and can be tracked within your Mogan Shopping account. An extra day is needed for delivering items to and from remote, outlying islands around Japan such as Hokkaido or Okinawa. This fee includes all costs incurred to ship and deliver your purchased item(s) from our Japan warehouse to your specified address. Shipping will commence immediately once the 2nd Payment is transferred after checkout. If your account balance is not sufficient to cover this payment, you will be requested to deposit the outstanding amount and checkout so shipping can commence as soon as possible. Please try to ensure you have sufficient funds and checkout as soon as possible to streamline your shopping experience. For some countries, there is limit for the size, we also like to encourage you to read the shipping policy carefully to ensure no shipping delays and please note the maximum weight for shipping by air is 30kg as listed below. To consolidate your shipping order you must buy from the same seller of up to 10 items per order number during one sign-in purchasing session (up to 48 hours after first purchase), with open order status. If you buy from the same seller, they can send the items to us in one consolidated package, whereby it will be carefully delivered to you via consolidation shipping. combine the package for you to lower the overall shipping fee. set a fixed service handling rate of only 900 YEN per order number. 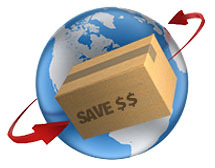 apply a one-time charge for all shipping and service fees to reduce cost. Items from different sellers would arrive to our warehouse at different times thus causing delays. Such orders would need to be repackaged resulting in further delays and higher cost due to larger packaging. Such repackaging has to meet Japan's Post Office packaging standards inspection otherwise it would be returned causing further delays. Such repackaged orders have a higher likelihood of being inspected by customs due to the repackaging and mix of items from different sellers involved, thus causing further delays and possible damage. Each item(s) from a different sellers would need to be charged separately (thus increasing your costs), unlike if it was from one Seller. However, if you wish to purchase items from different sellers into your order, we will ship each sellers item(s) separately from our Japan warehouse to have them reach you as soon as possible. Thank you for understanding and cooperation. Sometimes the seller may add some small gift, catalog, snack, or souvenir. In this case, this may affect the weight of the item and thus the overall international shipping fee along with the seller’s packaging. If you have any concern regarding the overall item weight or the weight is 1kg higher than you expected, please contact us before international shipping begins. By doing so, we can check the package and verify its weight for you. Otherwise, we will send the item to you in the original condition as we received it in. 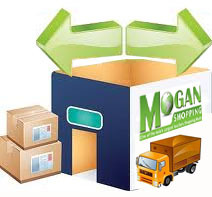 Mogan shopping provide 28 days free safekeeping after the product been received in country,we charge 50 YEN per day for safekeeping to those who didn't square account over 28 days,we will discard product and won't return advance payment to those----who didn't square account over 60 days. buy from all kinds of Japanese tickets:additional charge of 2,400 YEN handling fee. We cannot accept alcohol merchandise from air freight or sea freight, we can only send by EMS.